Has the future obliteration of jobs by automation been over-exaggerated? At the end of last year Bank of England Governor Mark Carney warned that up to 50% of UK jobs could be wiped out by automation. A recent report suggests that so far the AI-jobs apocalypse has yet to materialise. Recent research from the Chartered Institute of Ergonomics and Human Factors (CIEHF) together with CV-Library found that two thirds of businesses had not yet witnessed job losses due to automation. Over a third believed that automation had actually increased the number of jobs available. 3.5 million low risk jobs have been created since 2001, compared to 800,000 high risk jobs lost. Each new low-risk job pays a salary £10,000 higher than the high risk job it replaced. This does not alleviate concerns over automation. The CIPD’s Employee Outlook Survey also notes that nearly a quarter of employees are concerned that their job – or parts of it – may be automated within the next five years. Similarly, PwC’s UK Economic Outlook predicts that 30% jobs in the UK are at risk from automation by the early 2030s. Like Deloitte, however, it notes that the nature of available jobs will change. Sectors at highest risk of job losses through automation include transport, manufacturing, and wholesale and retail. Education and health and social work and education are at the lowest risk of being replaced. The CIEHF/CV Library survey reports a ‘resistance’ among employees to automation as employers are failing to communicate its benefits effectively and HR remains one of the most reluctant to positively embrace automation within talent management strategies. Deloitte’s 2017 Human Capital Trends Survey found that progress towards people analytics in the last year remains stubbornly slow. This is perhaps unsurprising as nearly half of recruitment professionals are still not using applicant tracking software in hiring processes. HR must first acknowledge the advantages of automation in recruitment to communicate its benefits more effectively. In hiring processes, this means the automation of mundane procedures, including personalised e-mails to job applicants, effective, streamlined screening to reduce unconscious bias and insights into key hiring metrics that impact your ability to hire. It also enables hiring teams to create a more effective onboarding processes to improve retention of new hires. 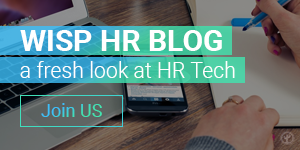 But why is HR so reluctant to embrace technology? An article in the Harvard Business Review suggests that the resistance to AI is twofold. To accept and take advantage of automation, consumers must trust both in the technology and in the business delivering the innovation. In recruitment that means HR must have confidence in the supplier of recruitment software and its ability to deliver benefits to its hiring process. Cognitive compatibility : In other words, make it easy to understand. The more complex the nature of the technology, the less likely consumers are to trust its ability achieve desired goals. 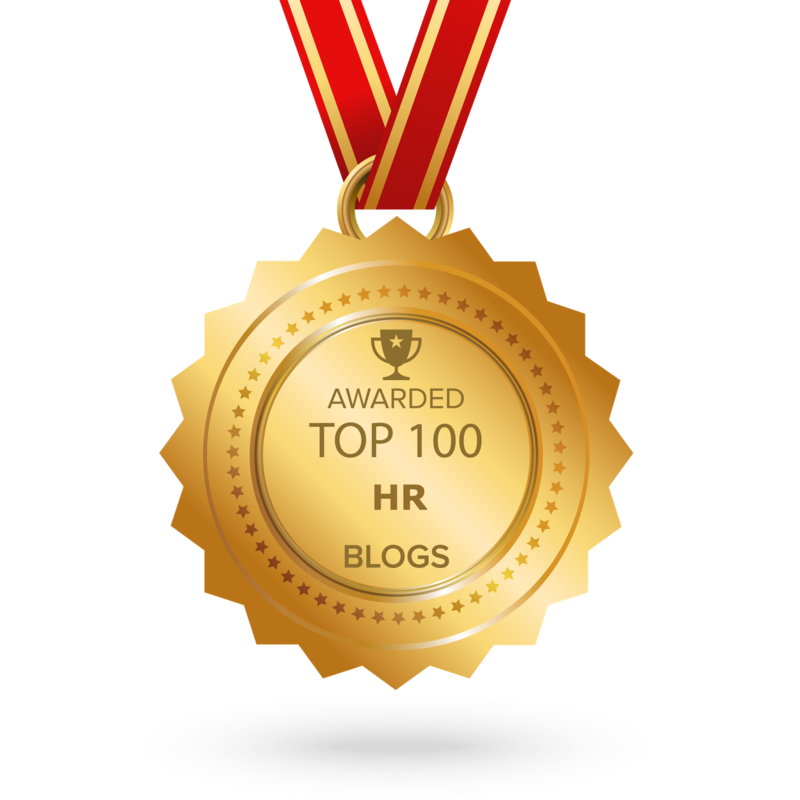 For HR, that goal is to streamline hiring processes to ensure not only faster hiring but a better quality of hire. Trialability : A trial of potential new technology helps to understand the benefits and reduce any reluctance to embrace technology. Usability : To encourage buy-in among tech-resistant hiring teams, technology, especially HR software, must be easy to use. Recruitment software aside, as companies continue to invest in technology it is vital to maintain employee buy-in and foster trust by investing in upskilling employees to equip them to use digital skills in the workplace. The UK faces a significant digital skills crisis in addition to a wider talent shortage but employers are failing to invest in the necessary training to equip employees with vital skills. Training and development is essential for businesses that wish to not only retain but to continue to attract talent to their brand. It will also go some way to overcoming ‘resistance’ to technology in the workplace. Overcoming ethical concerns is an issue that HR must consider in the future. The EU has proposed the creation of a European agency to provide technical, ethical and regulatory advice on robotics and AI, including the consideration of a minimum income to compensate people replaced by robots and a ‘kill switch’ for malfunctioning AI systems. A similar concern was recently expressed by the International Bar Association which warned that AI could ultimately lead to the introduction of legislation for quotas of human workers in the future. While the debate over the benefits of AI at work continues, there is no doubt about the struggle that employers face to hire and retain qualified candidates. HR software is HR’s first step towards embracing the benefits of automation and creating more effective talent management strategies. If you want to see the best tools for recruiters in one place, then you’ll love this guide from Talent Hero Media. 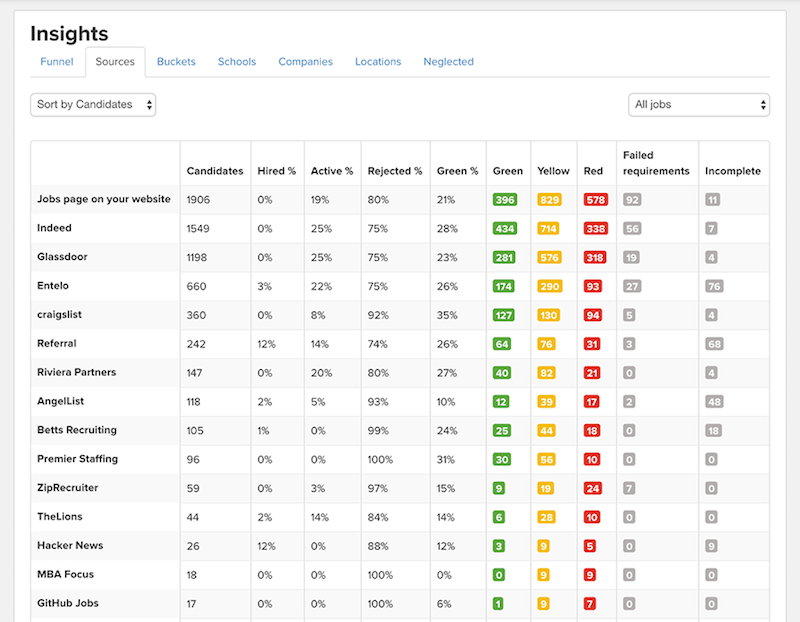 There are over 70 free and paid tools designed to simplify your job as a recruiter. Bonus: Don’t have time to check out all the tools? No worries. Download a free PDF version of this guide right here. 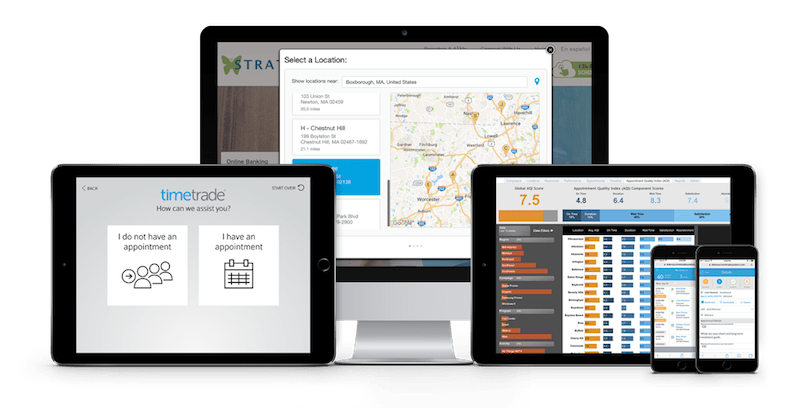 This newer entrant to the ATS market has already earned rave reviews from its loyal user base for its amazing customer support, smooth UI and end-to-end functionality. 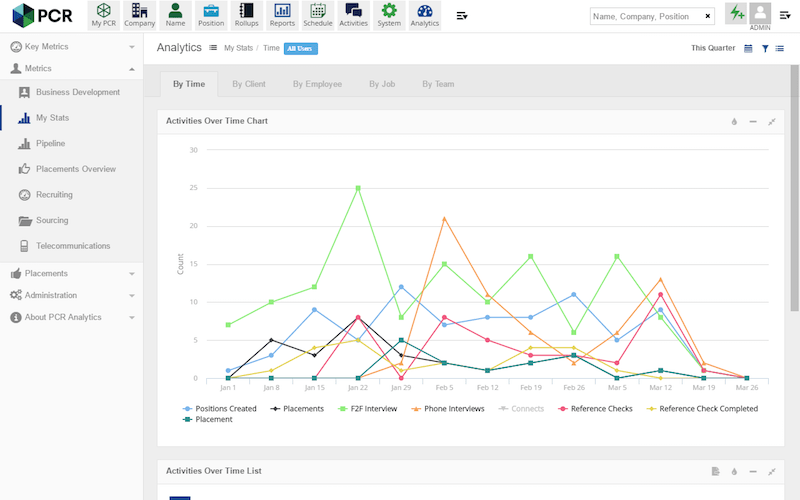 A combination ATS and CRM, Crelate is lauded for its wide-ranging feature set, modern UI and strong customer support. Lauded for its intuitive user interface and beautiful design, Greenhouse receives consistently positive reviews by everyone who adopts it. 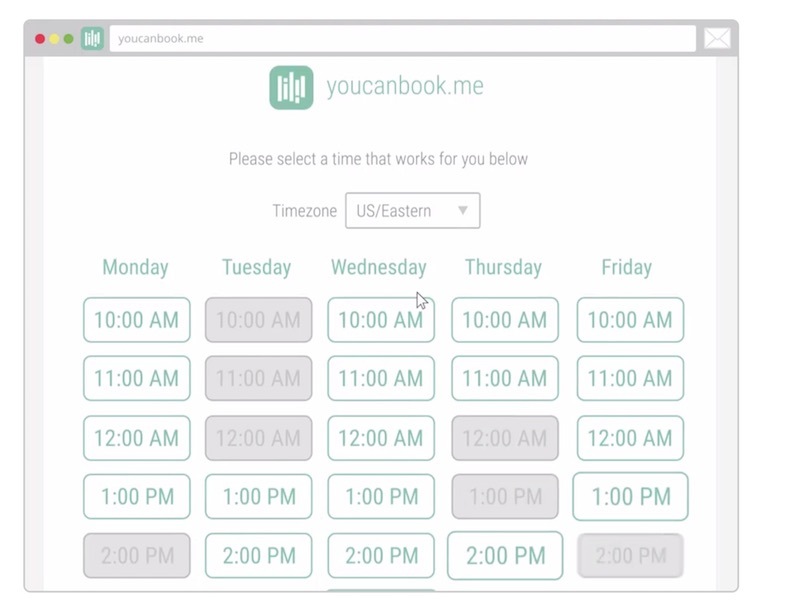 In addition, they have an iOS and Android app that lets you use it on the go. 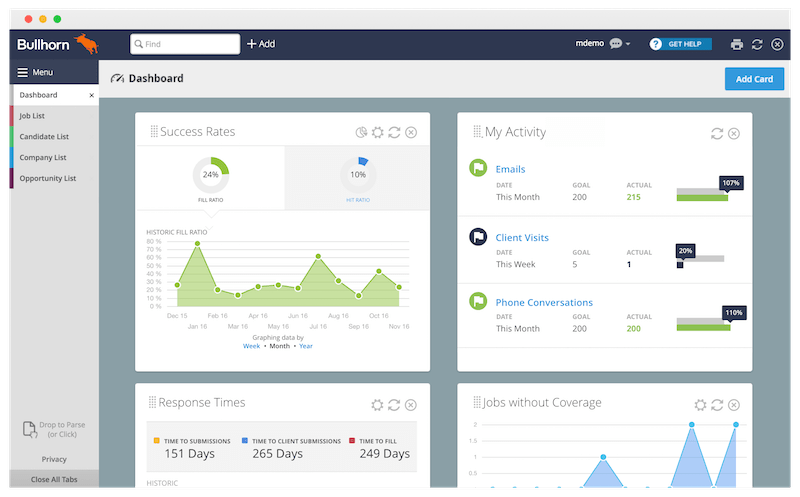 A low-cost alternative ATS, HireHive excels at automatic job board posting, managing employee referrals and branded career sites. Founded in 1999, iCIMS is a tool that is widely used by both recruiting firms and internal recruiters. Given its longevity, it is clearly well liked by many although there are some who complain that it could use a refresh. 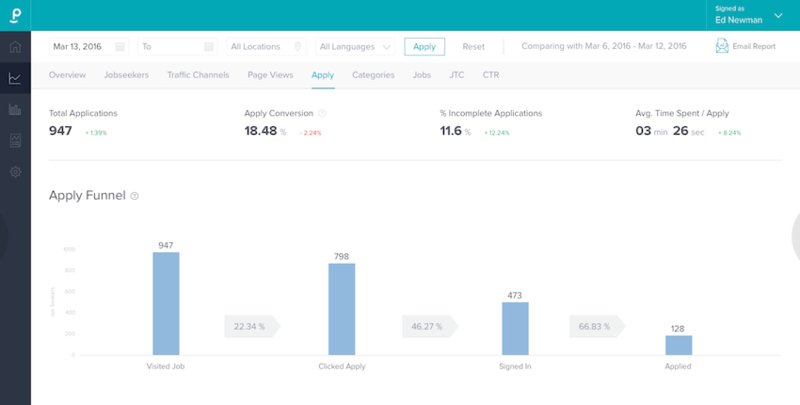 Considered one of the top ATS tools, Lever has features such as one-click sourcing, two-way email sync, and @-mentions that you will not find in many of their competitors. 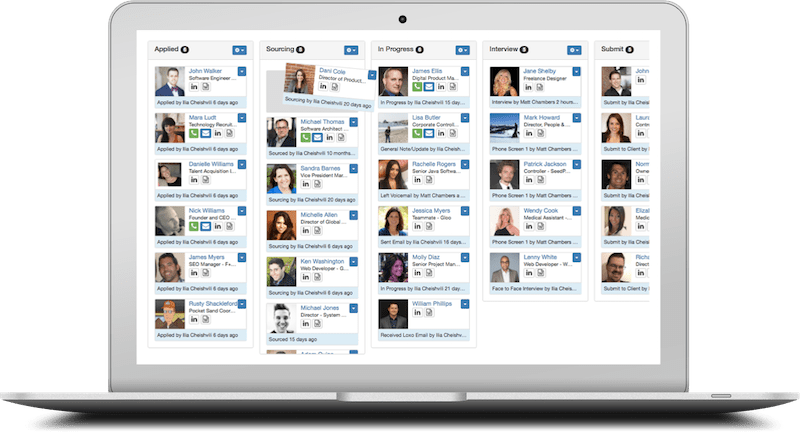 The feature that sets this ATS apart from its competitors is Loxo AI, a proprietary intelligent sourcing assistant that helps you find the top talent for your role while you spend your time elsewhere. Known for their incredible customer service (their founder replies to emails on Sundays), Recruitee takes collaborative hiring to the next level: everyone in your team from the least tech-savvy to the most nerdy can work on hiring together with this cloud-based ATS. 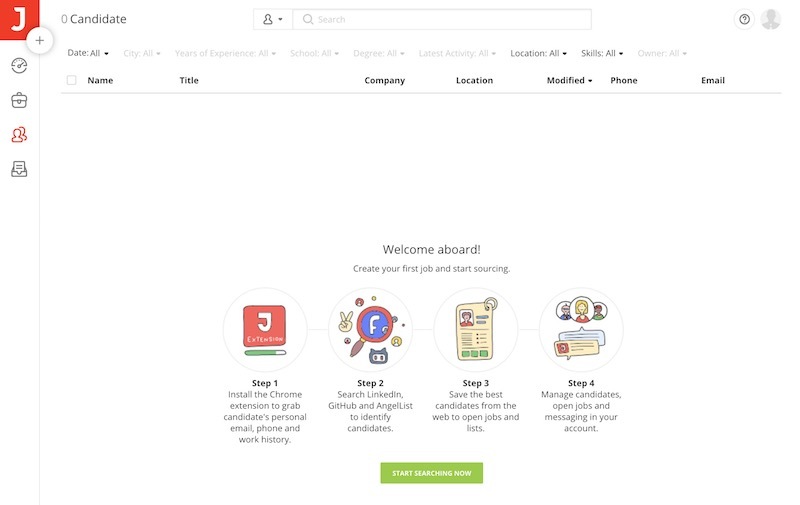 In addition, Recruitee provides beautiful careers sites for your employer brand as well as candidate-friendly application forms that you can fully tweak. 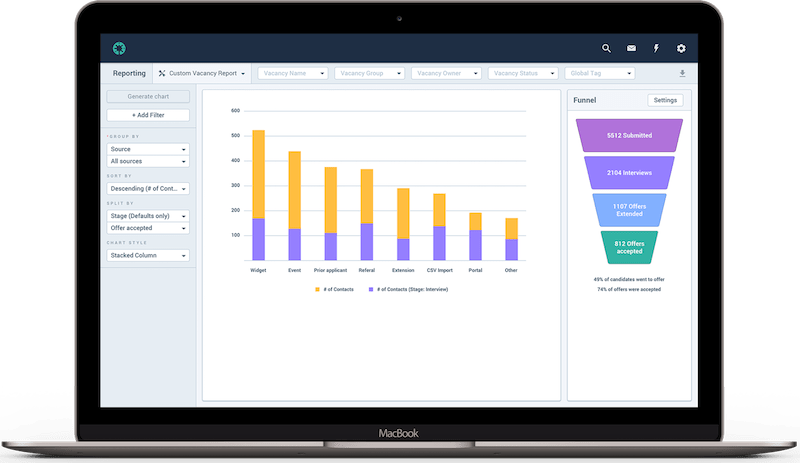 Workable is noted for its full feature set, easy learning curve, top notch customer support and a new sourcing tool called People Search. They also offer a $50 per job per month plan for recruiters who have less burdensome hiring needs. 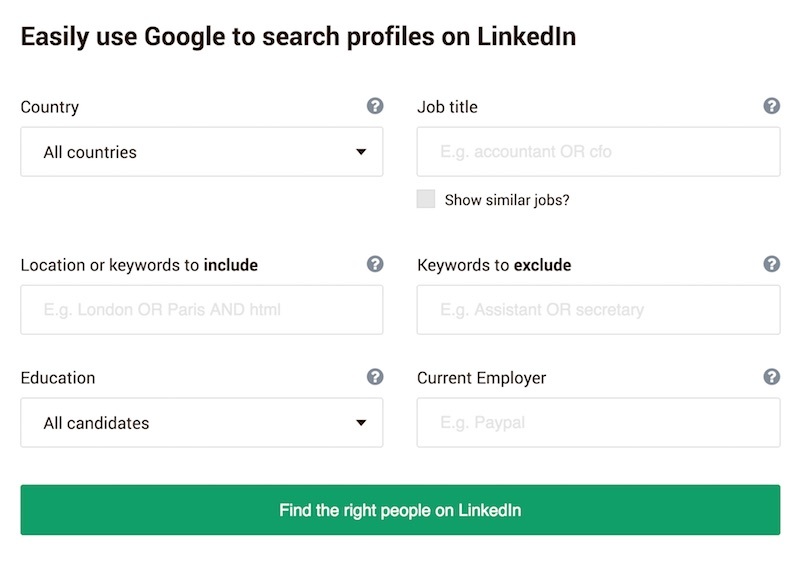 Geared exclusively towards finding technical talent, AmazingHiring scours Github, Stack Overflow and Kaggle profiles to find potential candidates, including those who do not have a LinkedIn account. Considered the best by some, ContactOut touts that it can find 2x more emails than the competition and given that it offers 100 free credits per day, there is not much risk to test out their claim. Limited to 5 free phone numbers and emails per month, Lusha gets positive reviews by many but you will have to pay to get full use of the product. Featured at Best Places to Buy Business Leads Online. 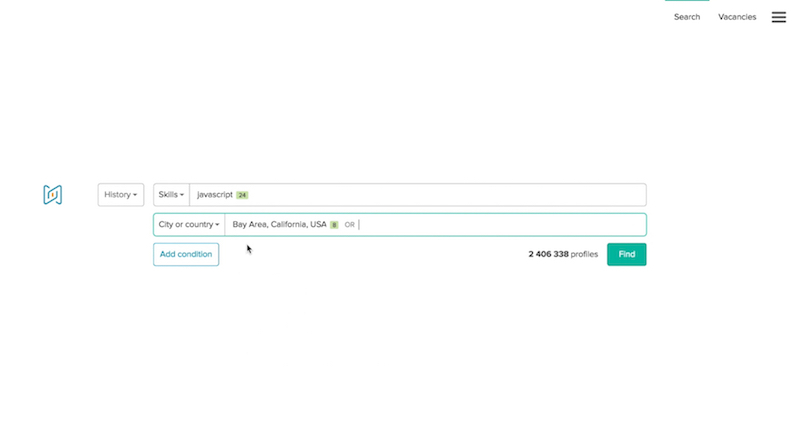 Focusing on finding emails associated with LinkedIn and Github profiles, Nymeria has two simple and reasonable pricing options – free for 300 emails per month and $9 per month for unlimited emails. 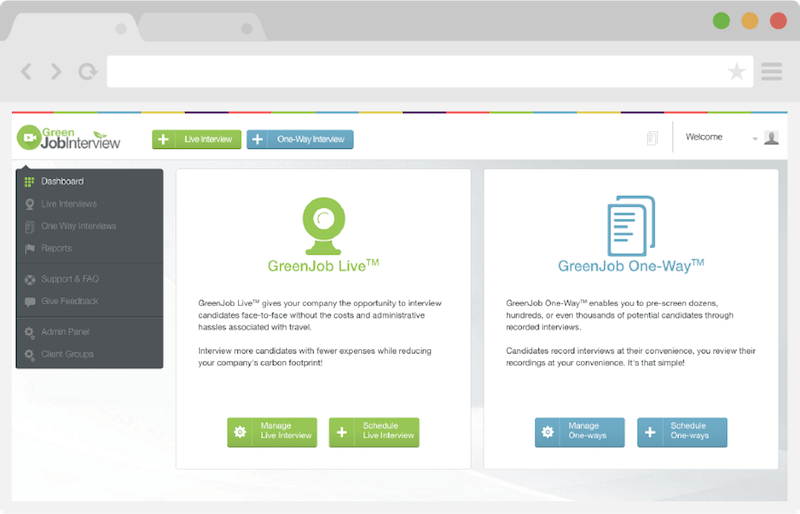 Whether it is face-to-face or one-way interviews, GreenJob offers the solutions you need for your video interviewing needs. 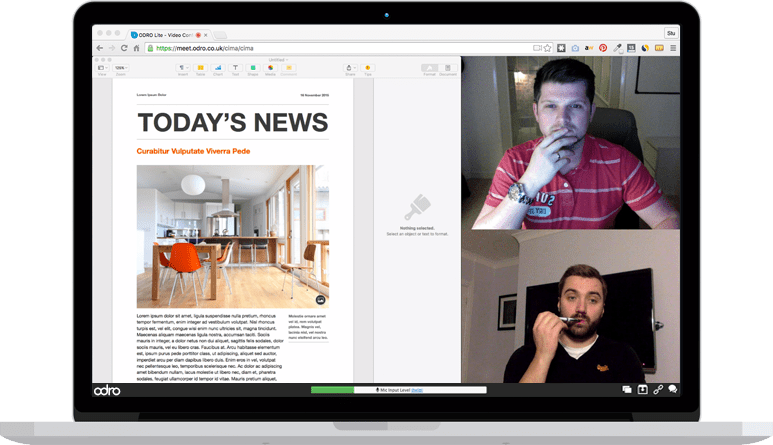 Interview Stream’s Hire platform allows you to set up screening interviews using a library of questions and pre-populated media, or face-to-face live interviews. 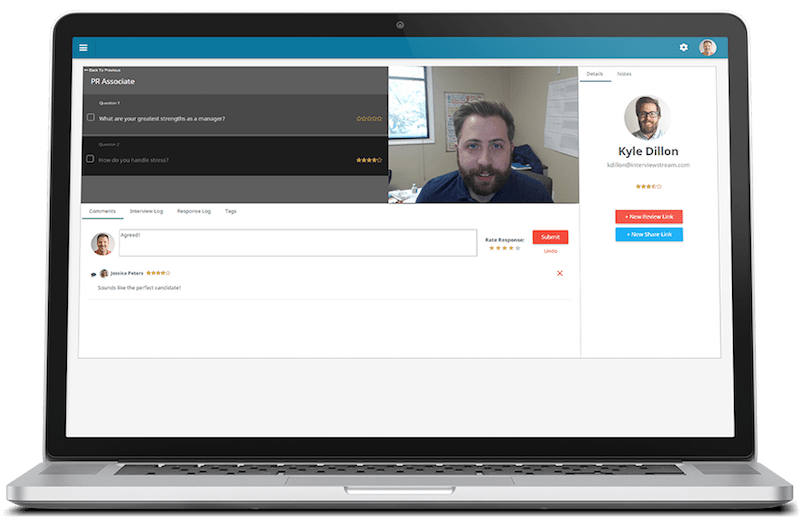 sparkHire has a full range of video tools to help you optimize your interview process including one-way interviews, interview evaluation, interview scheduling and a mobile app. 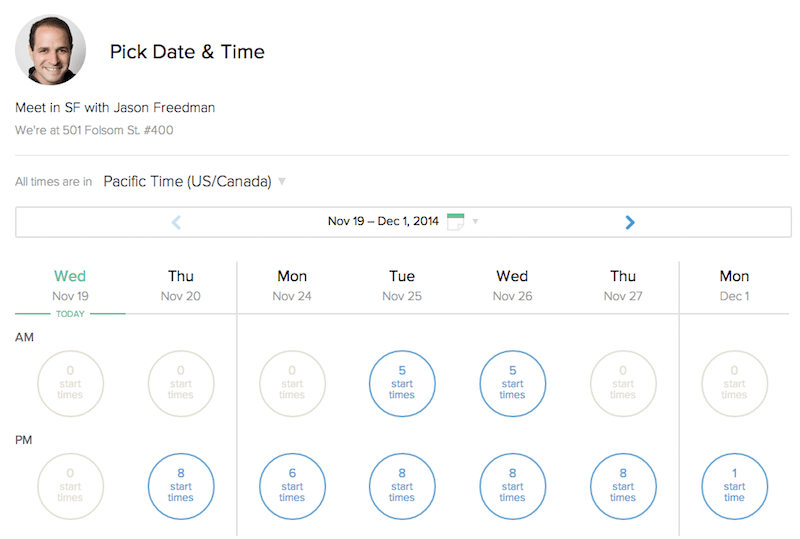 Known for its robust feature set, SimplyBook.me has a free tier that may be suitable for some recruiters. 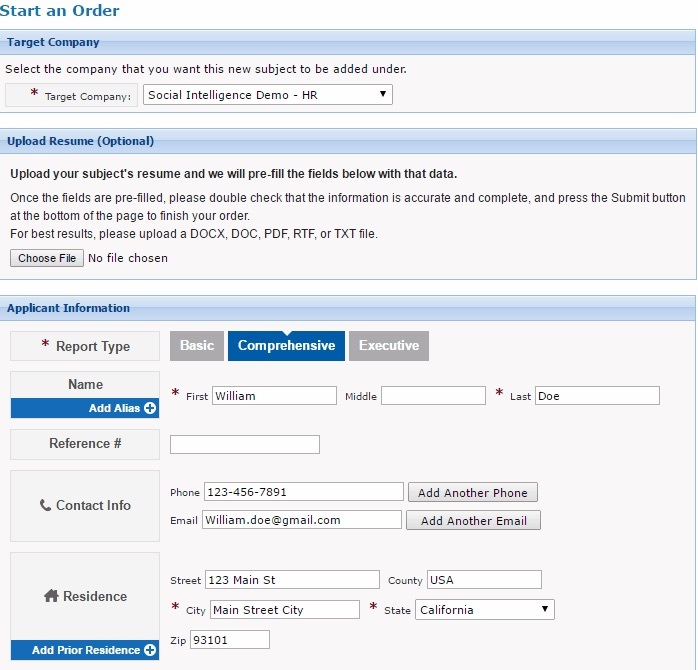 HiringSolved offers features that are not common in sourcing tools including Diversity Search (a tool to help increase workplace diversity), Scan (automatic updating of outdated records in your ATS and CRM) and Verticals (algorithms designed to find candidates in specific industries). 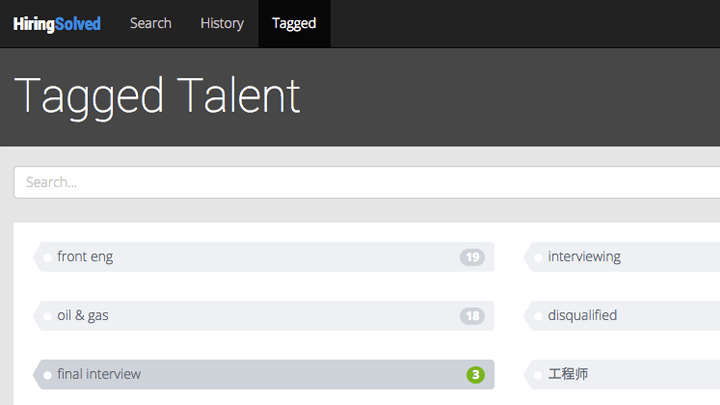 TextRecruit lets you manage communications with your candidates over text, increasing interaction rates significantly. 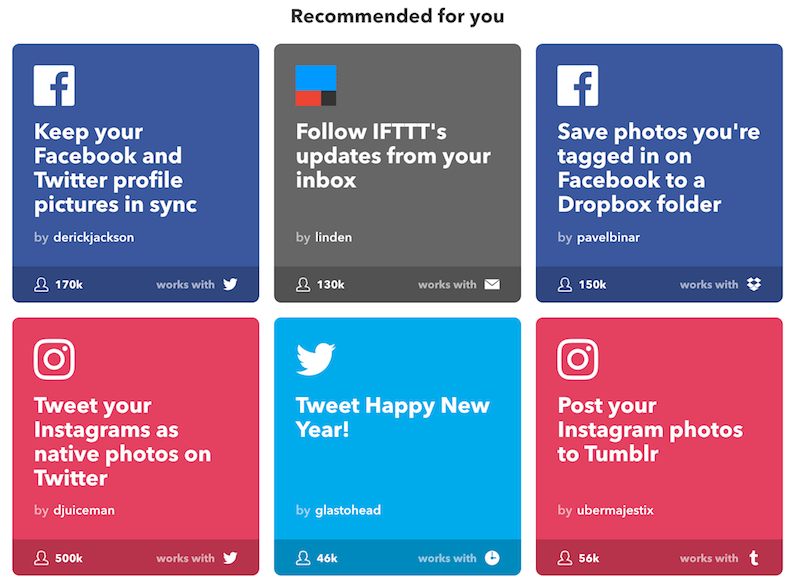 Although not specifically geared towards the recruiting market, IFTTT lets you create “applets” that combine different services together. 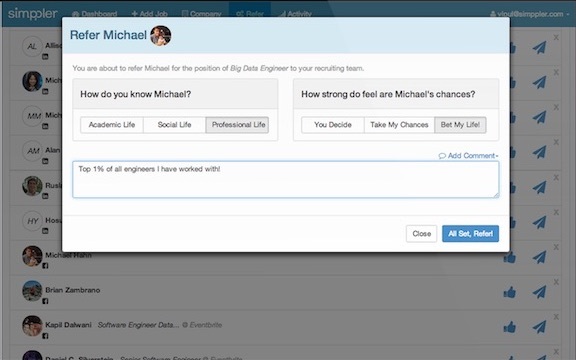 For example, you can get an e-mail notification when a LinkedIn contact changes jobs. Written by Simon Bouchez, CEO of Multiposting, an SAP Company. I want you to imagine that you’re the owner of a small business. An accounting firm, for example. You want to hire a bookkeeper, so you post an ad on a few job boards. The next thing you know, you have 75 emails in your inbox. 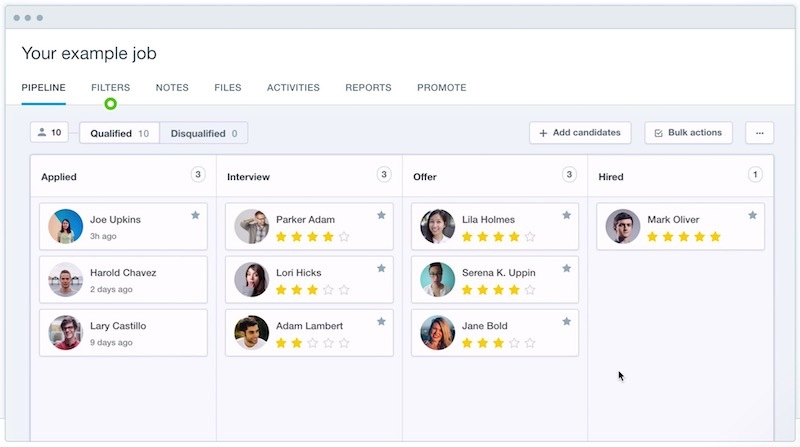 Now you have to figure out a system for tracking all these candidates, storing their information and applications, ranking them, coordinating interviews, saving feedback from coworkers, and on and on. Doesn’t look like you’ll be doing any accounting this week! As the CEO of Multiposting, an SAP company specializing in recruitment technology, it is my job (and my passion) to understand the dynamics of the job market and develop solutions that make recruiting easier. I have the pleasure of speaking often with companies, both big and small, about their hiring process. While large enterprises struggle to hire globally and locally, and to navigate the waters of job networks, small companies are facing recruitment chaos. Often times hiring becomes the job of the operations person or hiring manager and it is just one part of their job. The hiring process is usually quite manual, time-consuming and unorganized. As we were developing our flagship product, Multiposting, we set out to also help address this struggle in the small business market. When we joined SAP in 2015, we were given the support we needed to take this passion project forward into market. 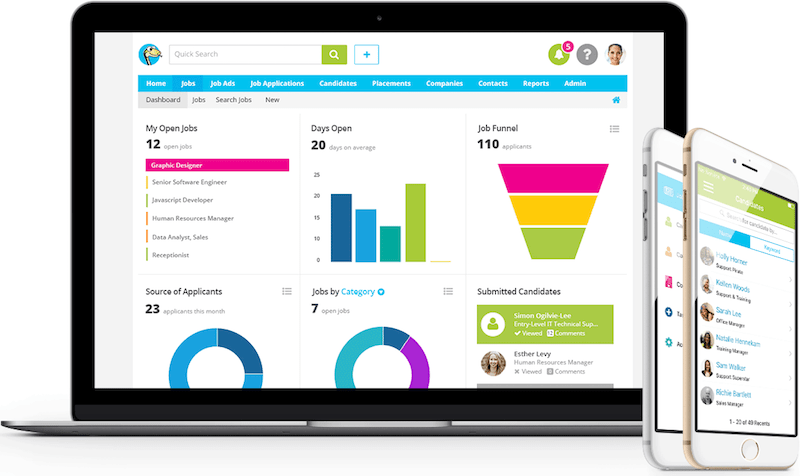 I’m proud to introduce to you WorkConnect by SAP, a recruiting tool that helps remove the stress of hiring with easy job postings and candidate management. 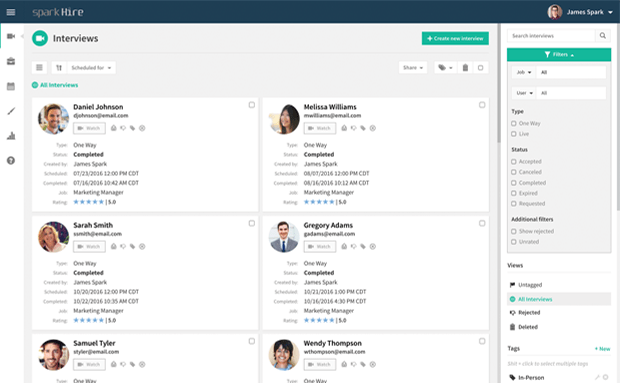 WorkConnect simplifies the hiring process by enabling you to reach dozens of job boards, track and manage candidates, and easily collaborate on team feedback – all with one tool. 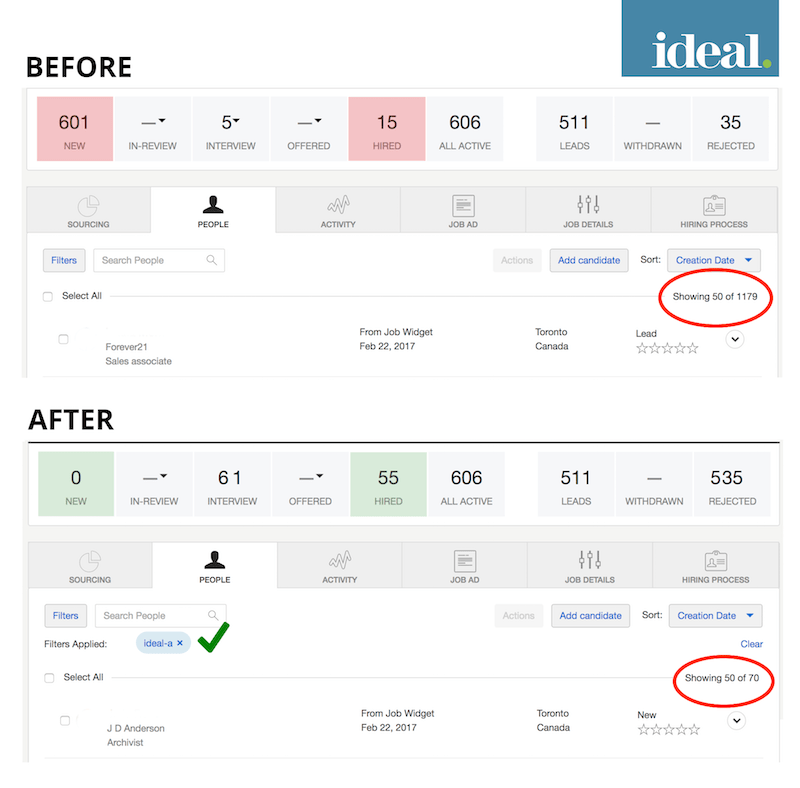 We’ve integrated with leading job boards so you can just post your job once and it automatically reaches multiple boards. This makes the process of sharing a job post much less manual and saves hiring managers significant time. 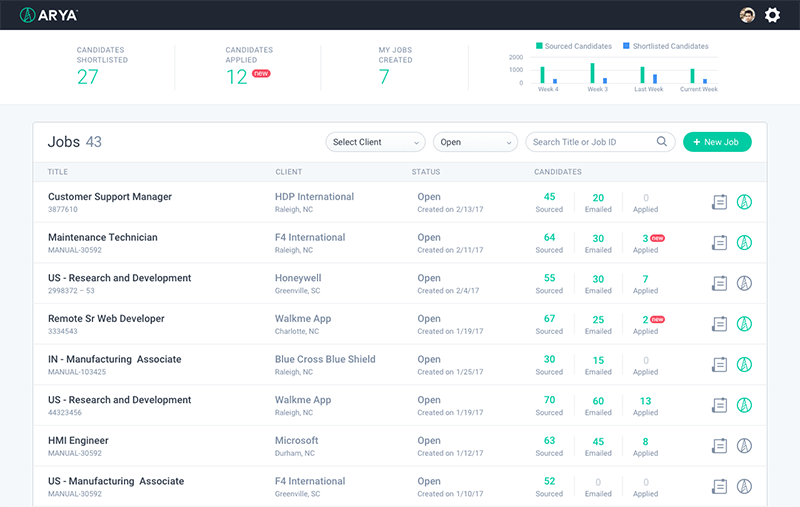 One of the most difficult things about hiring is managing the influx of applications and tracking candidates through the hiring pipeline. 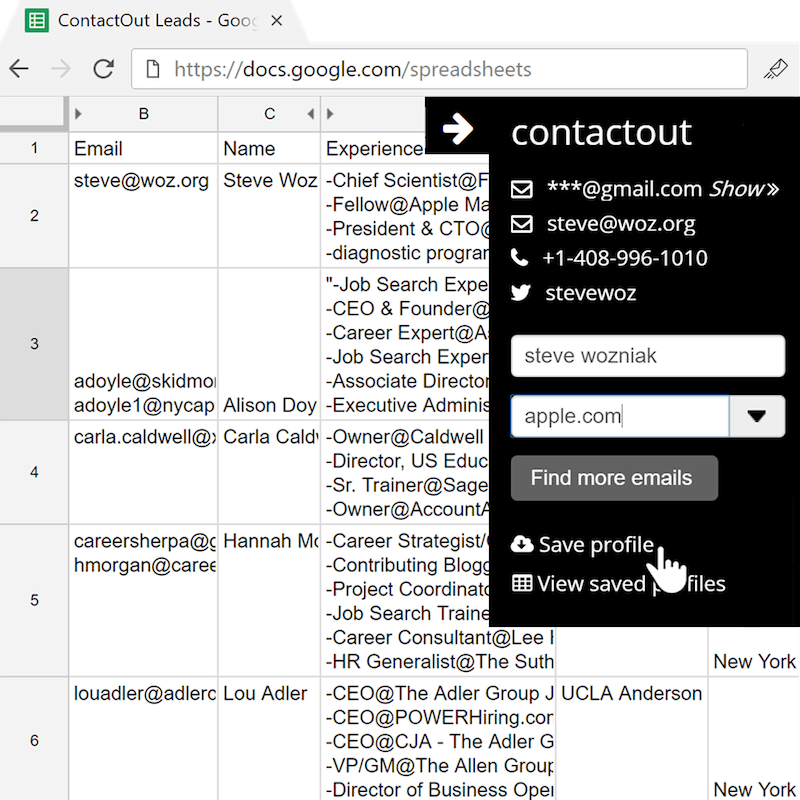 Typically, small businesses use spreadsheets to manage candidates and it is time-consuming, manual, error-prone and difficult to collaborate on. 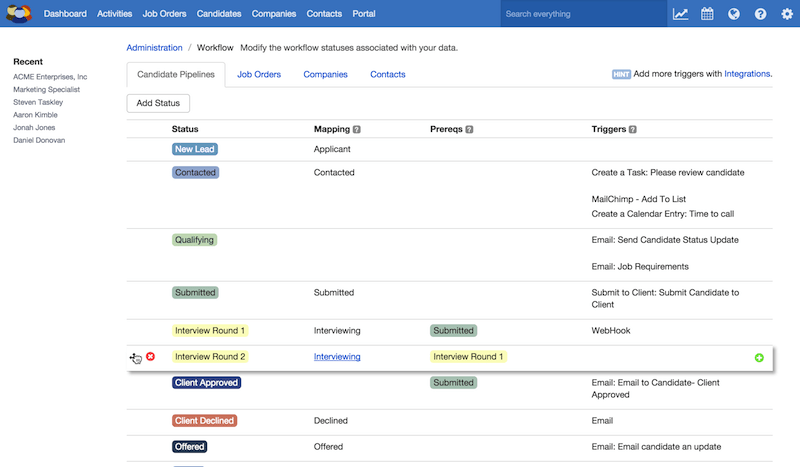 WorkConnect has Applicant Tracking System (ATS) capabilities that keeps applicants’ information organized in a simple interface and allows you to keep track of them throughout the hiring process. 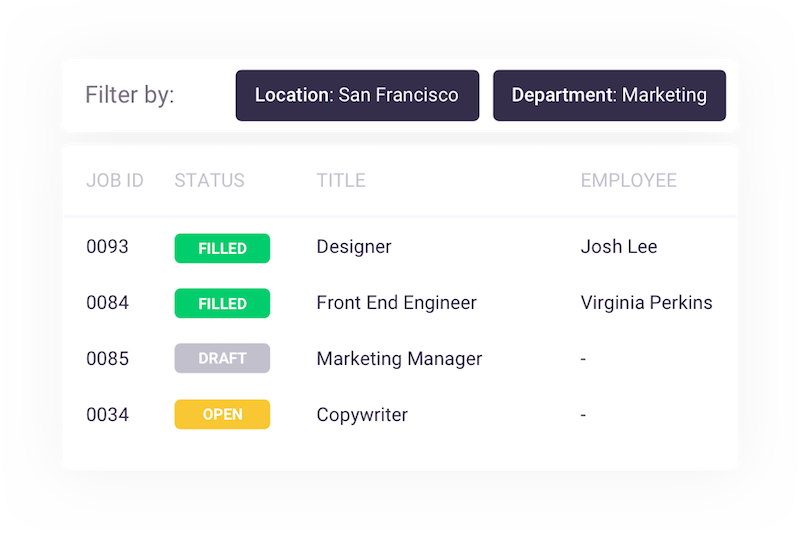 Even if you amplify your job post on other networks not integrated into the product, like Craigslist, you can still track and manage your candidates easily through WorkConnect. I think it goes without saying that involving your team in hiring decisions is critical to finding the right fit. But coordinating team feedback is easier said than done. Getting team members to provide feedback after interviews in a timely manner is one challenge, but compiling feedback from email threads, post-it notes, and in-person conversations into one place is even more difficult. 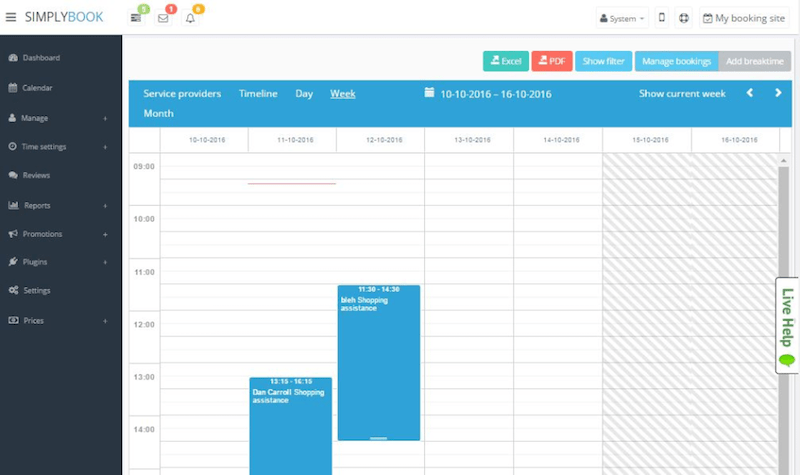 WorkConnect is designed to alleviate this organizational stress by allowing colleagues to easily rate and provide feedback all within an organized system. 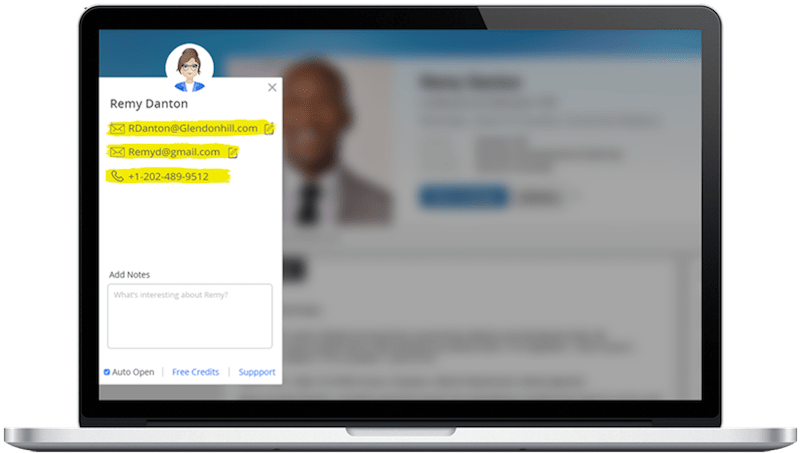 All you need to do is send them a candidate link to coworkers and they have all the information they need on the candidate and a place to easily share their input. 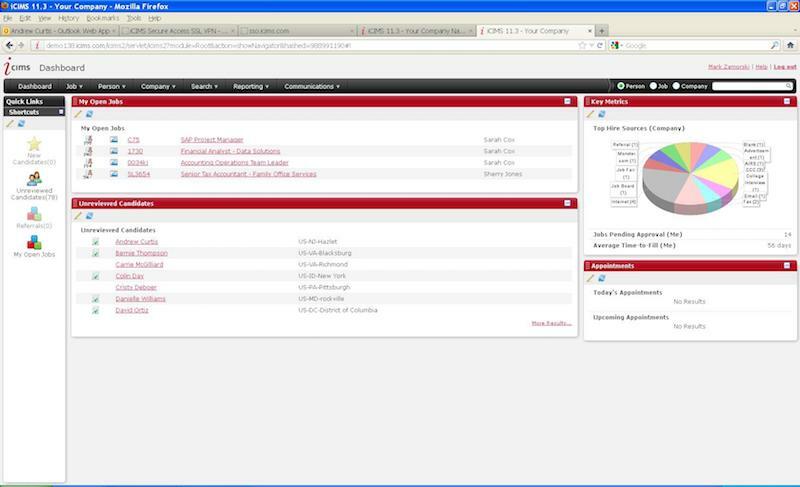 And finally, our pièce de résistance, it’s an easy-to-use cloud-based tool with no training required, simple onboarding, and an even easier purchase process (try free for 30 days or buy online at sapstore.com). WorkConnect is currently available in the U.S., U.K., Canada and France, but we plan to expand into other markets in the near future. As I mentioned earlier, I’ve heard the challenges of hiring for small businesses and I’ve experienced them in my own career. 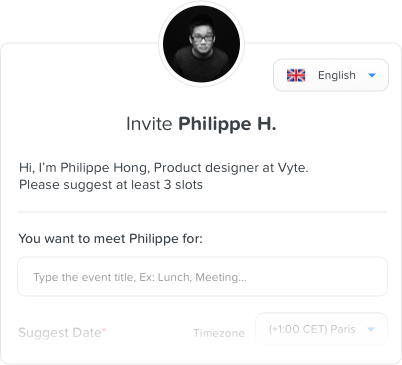 I empathize with the hiring chaos and I think this solution will make the process easier and faster so your team can focus on finding the right talent that will drive the success of your company. Let’s be honest – recruiting is not only fundamental to your business because you are sourcing top talent, it’s also a big investment. So optimizing that cost through a more efficient process is also an important matter for business. With WorkConnect, improved efficiency is affordable, especially compared to other recruiting solutions. 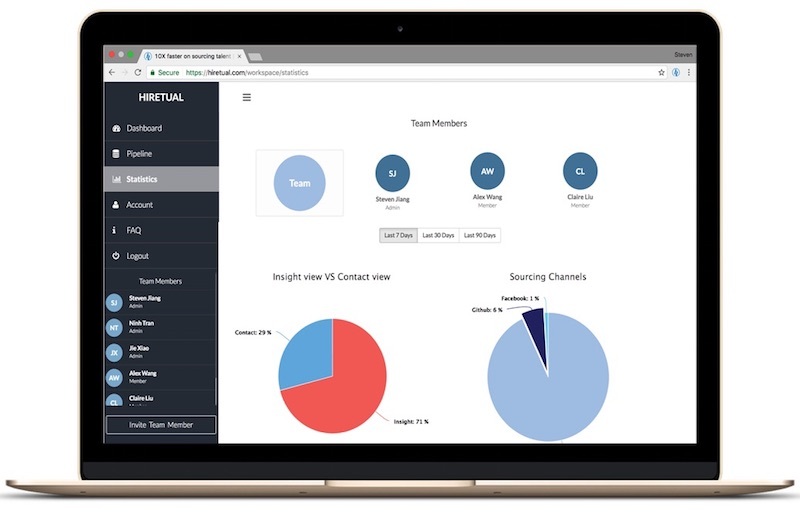 If you want to learn more about WorkConnect by SAP, I’ll be discussing and demoing the solution at HR Tech World in London March 21 - 22. I hope to see you there! Simon Bouchez is the CEO of Multiposting. Founded in 2008, the Paris-based company was acquired by SAP in November 2015. Simon is now a member of the SAP SuccessFactors Product leadership team and holds a Master’s degree in Management and Entrepreneurship. Multiposting provides innovative sourcing technologies to more than 1,200 blue-chip companies in more than 50 countries. 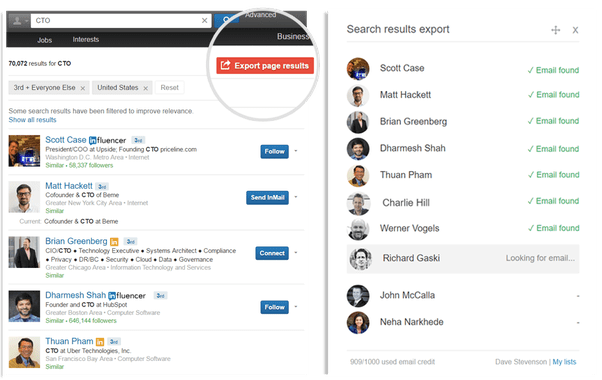 Its flagship product – now called SAP SuccessFactors Recruiting Posting – allows companies to distribute their jobs online on more than 4,000 websites (job boards, social networks, etc.). 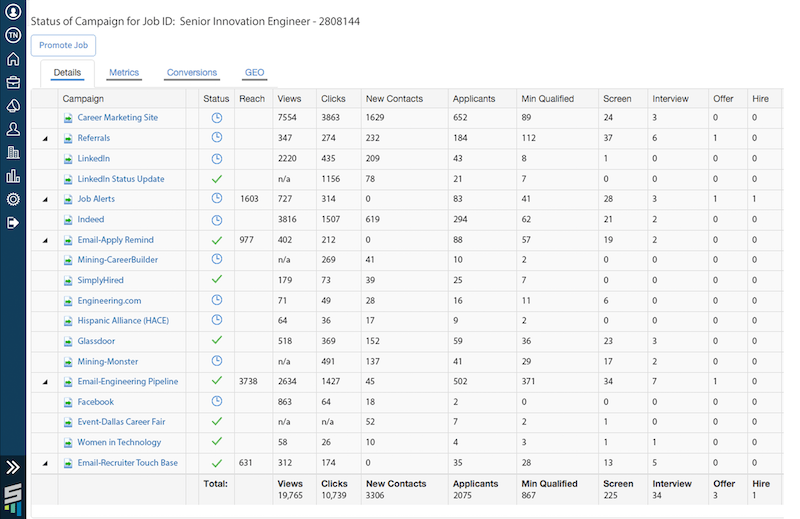 50+ million jobs have been posted with Multiposting’s technology over the past 5 years. 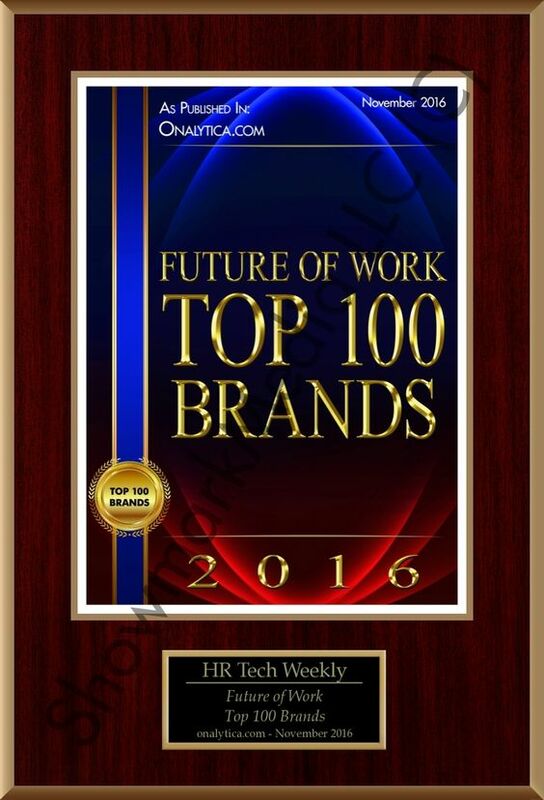 If you want to share this article the reference to Simon Bouchez and The HR Tech Weekly® is obligatory. Recent studies show that professional recruiters continue to be in high demand in the U.S. and abroad. Businesses routinely list “recruiting and retaining talent” as one of their top challenges for 2016 and beyond. What is also abundantly clear is that recruiting is constantly changing and the future is clearly digital. Therefore, it is essential to have the best candidate management tools available if in the recruiting space. What is more, we are seeing that candidates expect a fast/easy application process. Also, a recruitment’s ’employment branding’ is key along with employers needing to focus on ‘passive candidates’ and using data analytics (social networks and other digital profiles) in the recruiting process. 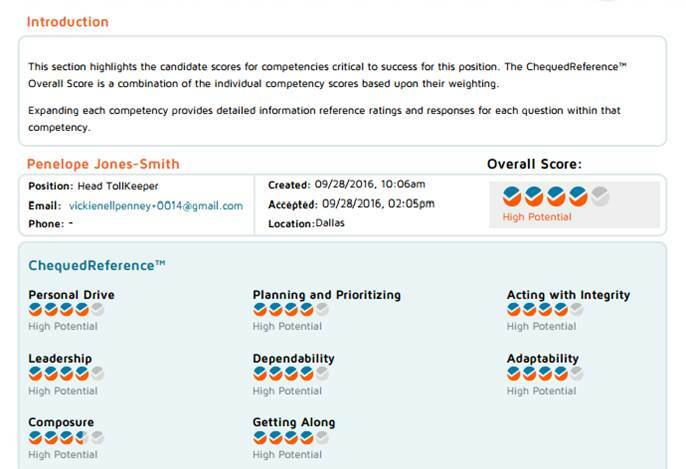 A talent management solution should be consistently updating to meet recruiting challenges. 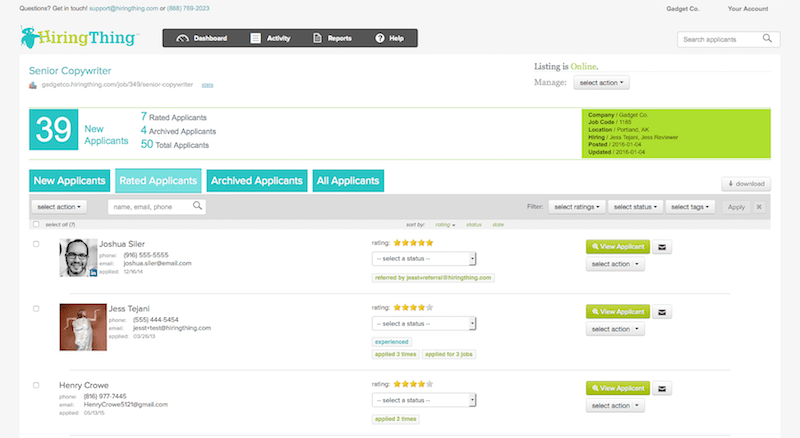 Recruiting agencies, executive search firms, legal search firms, and corporate recruiters if your current Applicant Tracking System (ATS) is proving cumbersome and unusable–this article is for you! 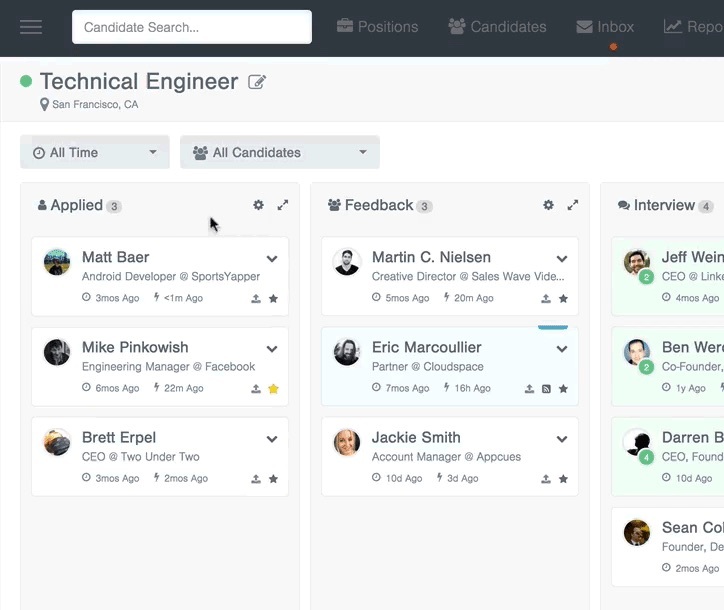 Crelate is building software for recruiters that helps them solve their difficult HR Tech challenges. 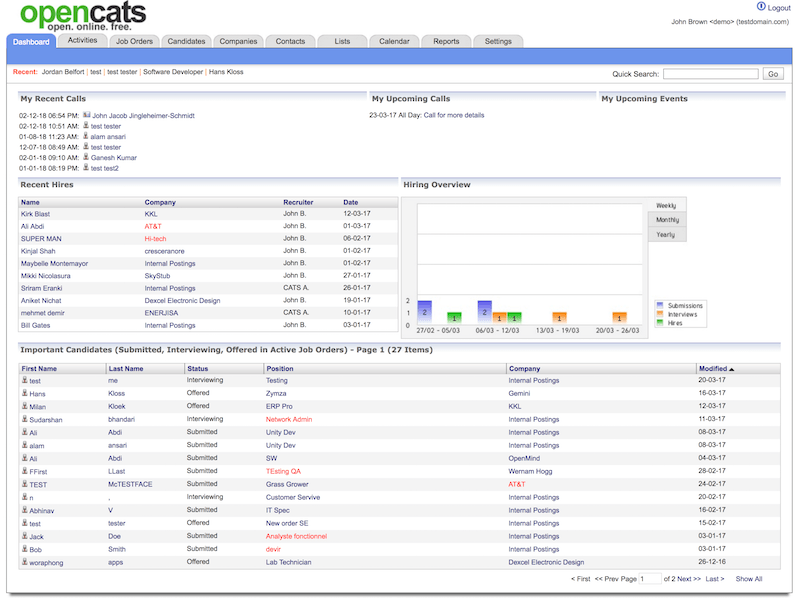 Five signs it’s time for an upgrade to your recruiting software. Excel is a great product and useful for many important business tasks. However, it isn’t so hot when it comes to organizing a pool of potential placements with all of their pertinent. 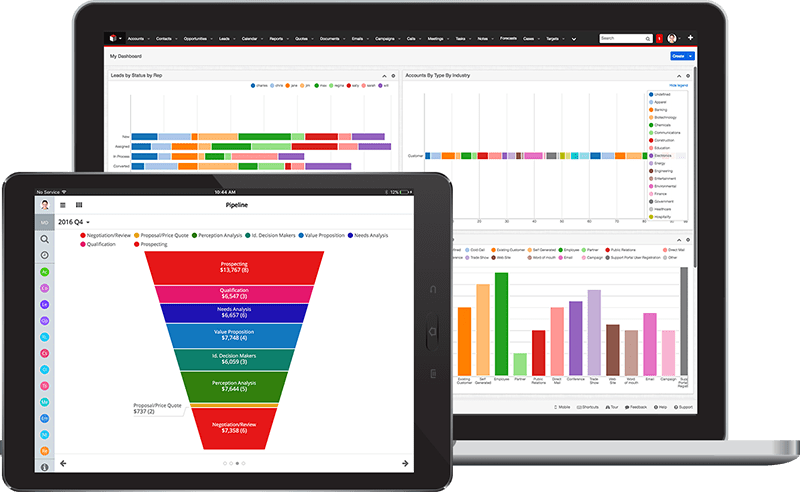 Dozens of our customers have migrated over from Excel-based solutions and universally they self-describe as a “complete mess”. 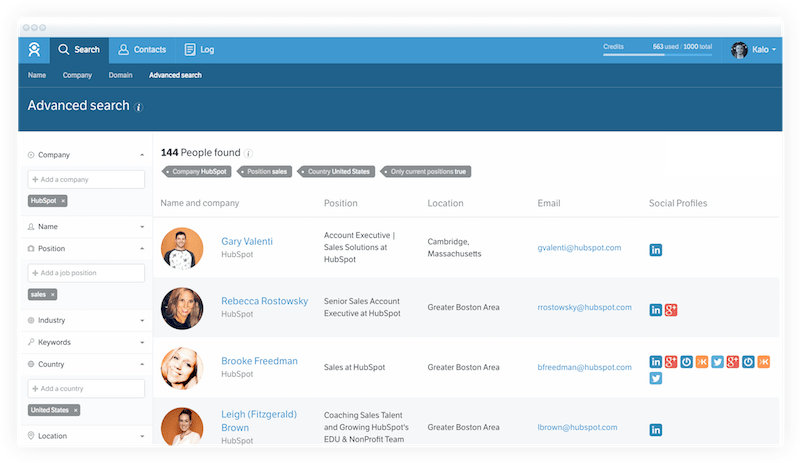 Also, recruiting professionals can easily access their database of candidates and get the important information they need to continue connecting the right people with the right opportunities if they have a full-featured product. Endlessly scrolling through Excel columns looking for important data is an incredibly inefficient process. By using a superior ATS recruiters can avoid wasting valuable time. 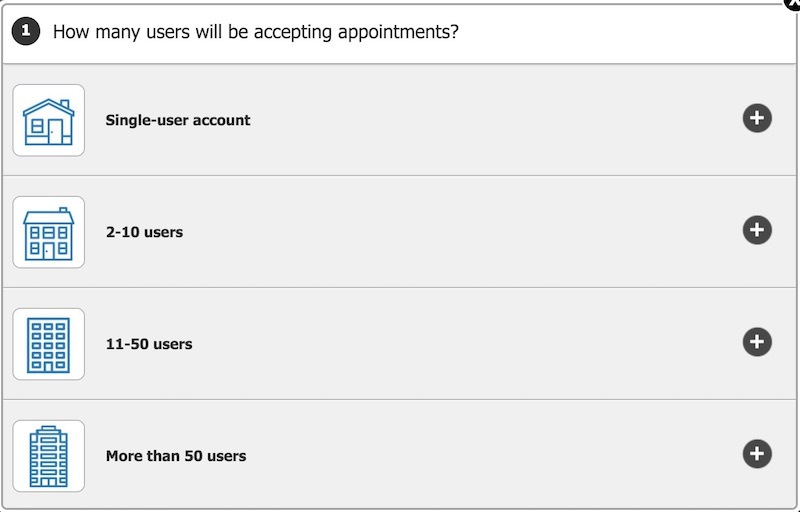 If your current recruiting software is built on Microsoft Access or requires remote desktop into a remote computer to access there are better options available . In the software business a couple of things are paramount. First, it’s important to have vendors provide new features on a regular basis. Second, the features added to the application should be useful and lessen the friction that often exists between users and technology. 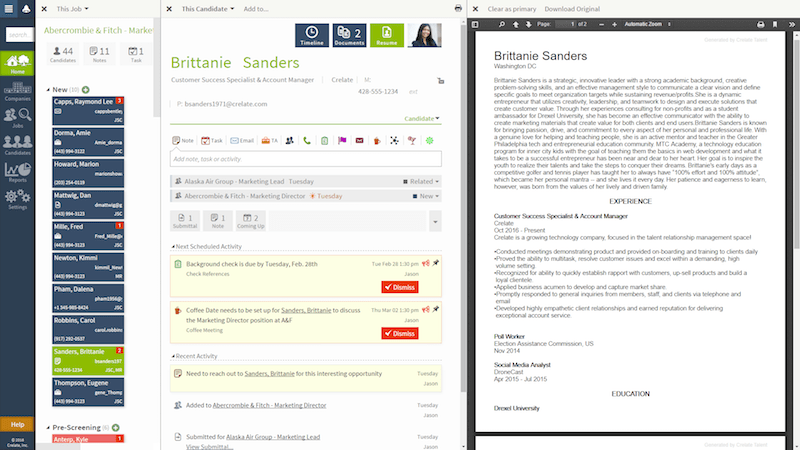 Therefore, new shinny features may or may not make the lives of recruiters easier and more productive. 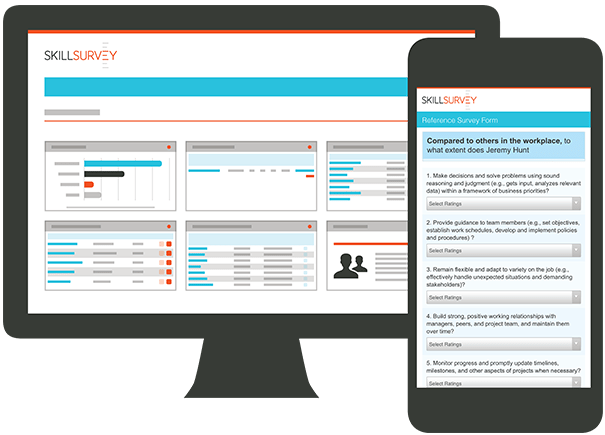 Your candidate management provider should constantly be in conversations with their user community to understand clearly the challenges that recruiters face on a daily basis–and specific ways that technology can lessen the burden. Enhancing the user experience is the goal and having an on-going dialogue makes this possible. 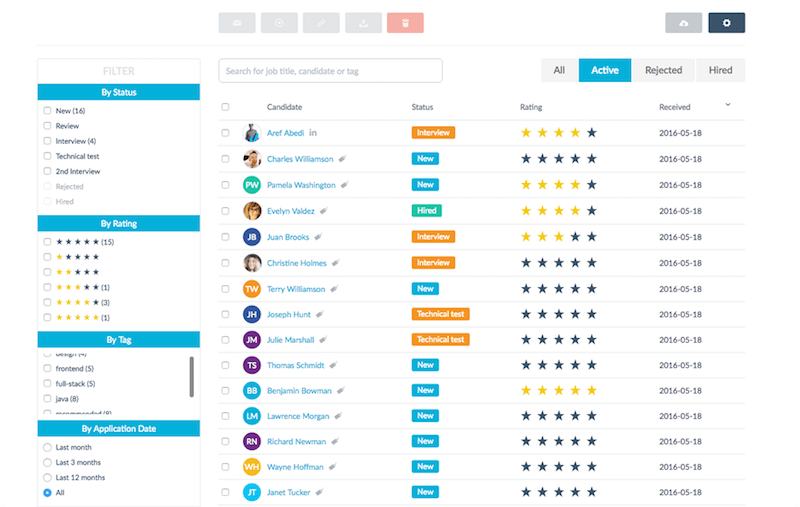 At the absolute core of an effective recruitment software is the ability to easily and quickly help recruiters build relationships with potential customers and clients. Recruiters are in the business of connecting with a lot of people quickly in order to marry the best candidates with the right opportunities. 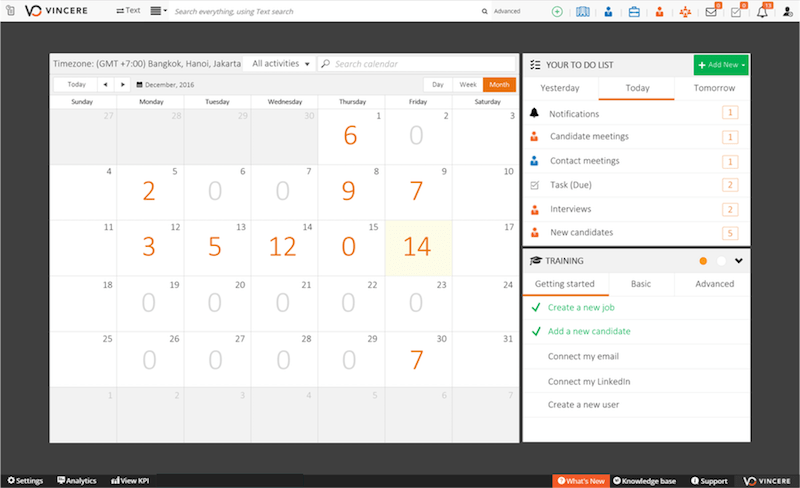 Recruiting solutions need to have efficient ways to track conversations, notes taken, key dates, connections among recruiting communities, and so on. Moreover, it also needs to be accessible as well as available on the go–though mobile and/or tablets. 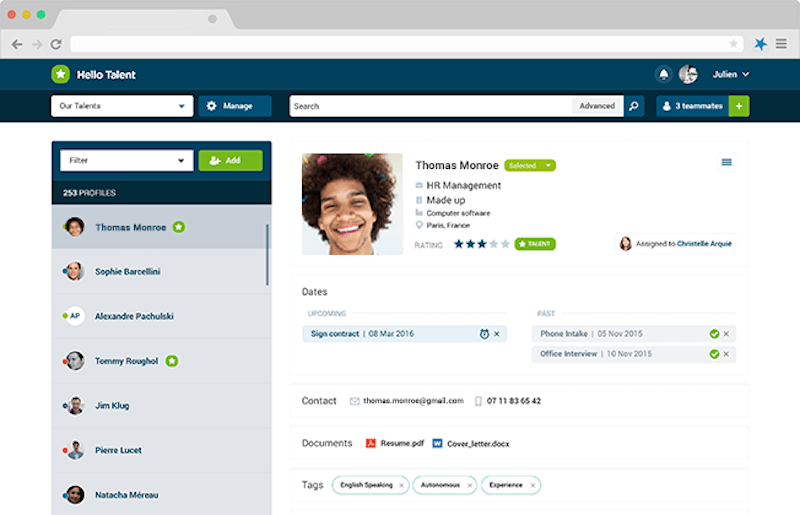 Additionally, recruiters need a Recruiting CRM that will help them track all of their current business relationships with companies. 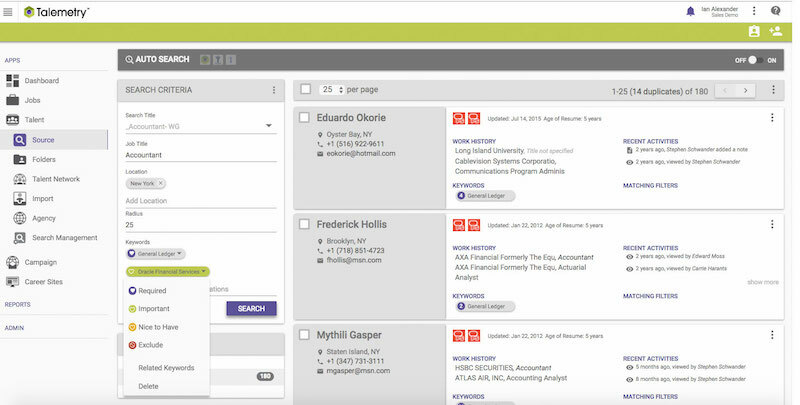 Further, CRM solutions can track future deals that are in the pipeline. 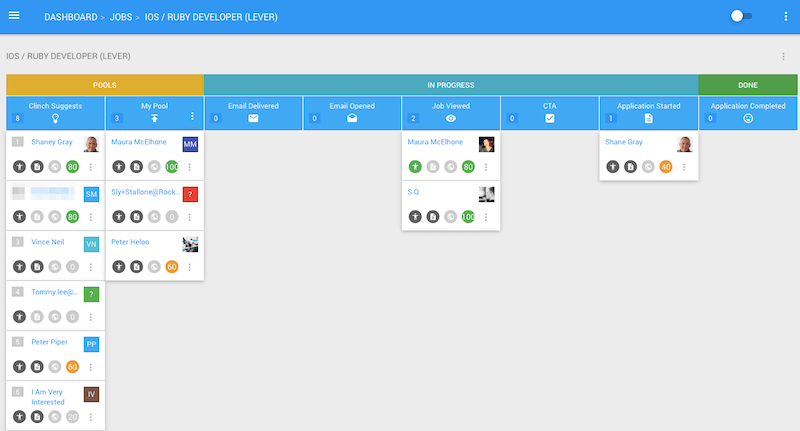 Crelate is currently building a CRM to add to our platform. Recruiters are super-busy and often have several appointments every single day. What you need is an ATS that will assist you in being productive and keeping track of you commitments. Your ATS should provide calendar invitations to everyone on your team and give you notifications throughout the day/week with reminders. 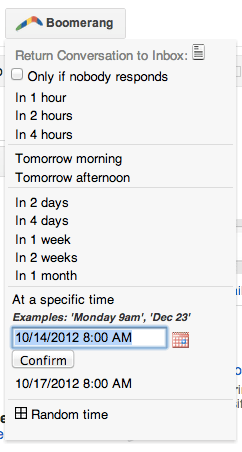 Also, it would be great if a recruiting solution could allow users to quickly assign tasks to their team. 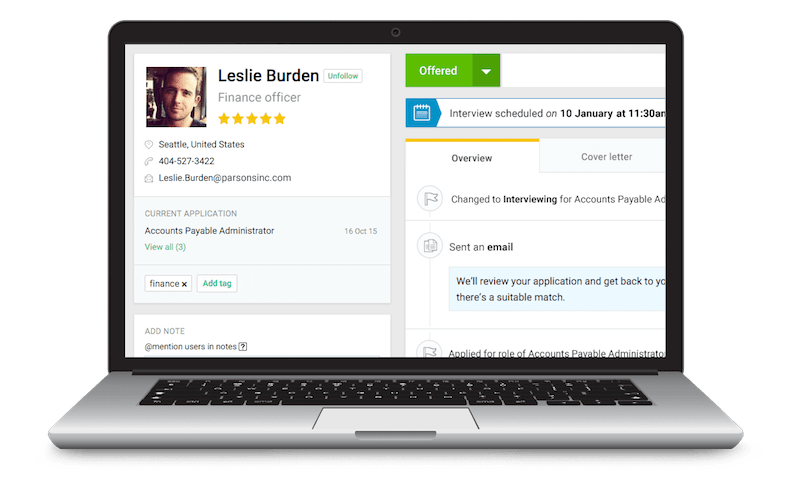 Furthermore, tasks such as resume parsing, initial meet and greets, phone screens, interviewing, or checking references can be easily managed with Crelate. Consequently, your ATS should make the entire process of recruiting work more smoothly and with less headaches. Finally, you may have heard the phrase “Cloud Computing” but are unsure that it means. Cloud computing is based on the internet by allowing users to easily access software through applications built through the internet (as opposed to programs or software downloaded on a physical computer or a server). The cloud is where most of us spend our daily lives. Everything from updating your Facebook status to checking a bank balance is part of being in the cloud. 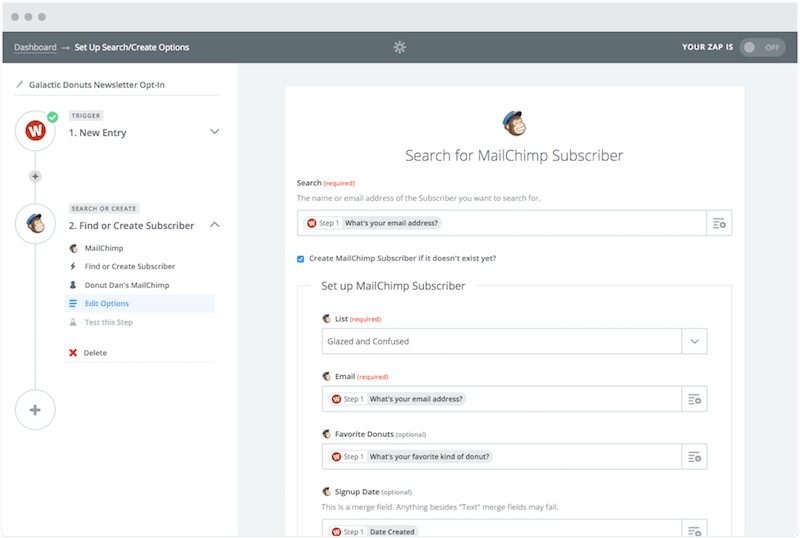 In addition, cloud-based solutions offer: flexibility, automatic software updates, increased collaboration, the ability to work anywhere, document control, and better security. 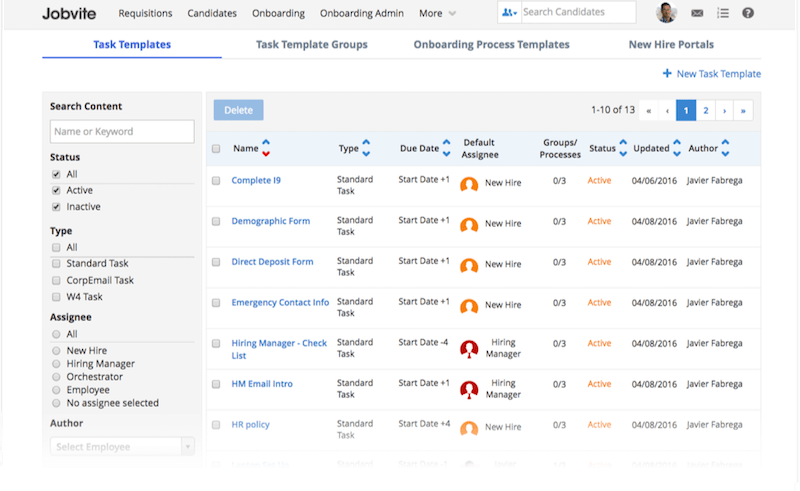 It’s time to upgrade your candidate tracking solution to a cloud-based software and explore the incredible advantages of cloud solutions. 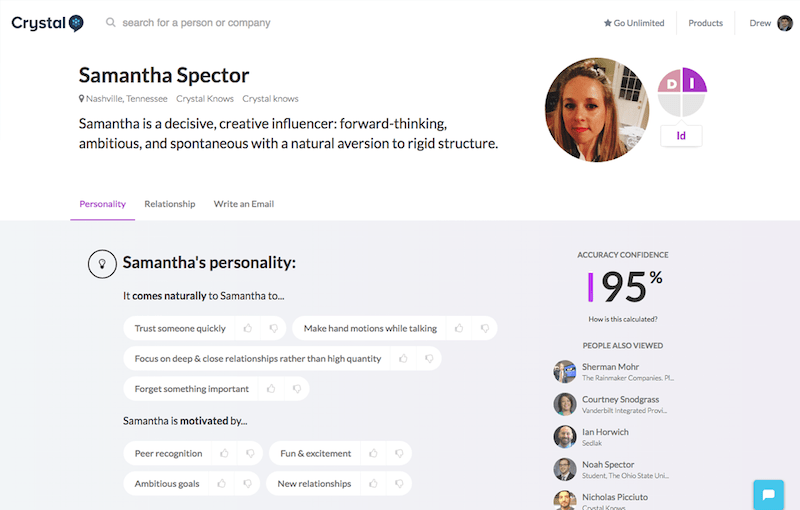 As recruiters continue to make connections for clients and candidates in the digital age, having an effective candidate management tool is going to prove to be critical. 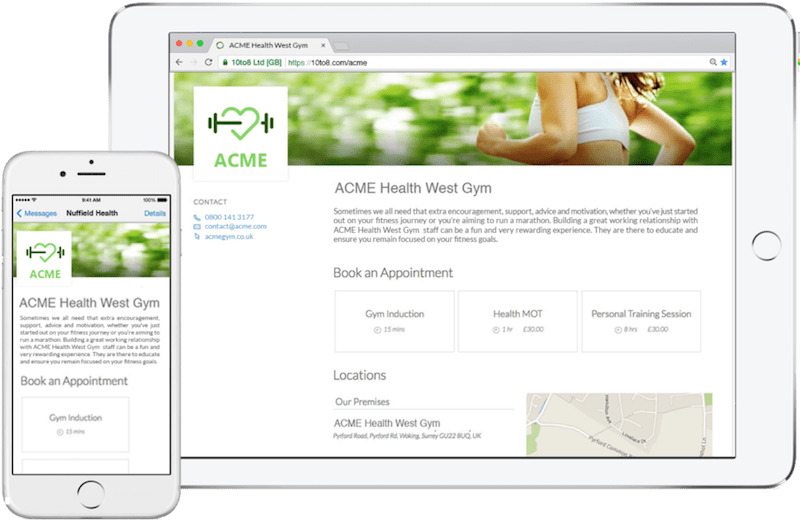 Check out what Crelate has to offer by setting up a free demo today!